Vitality Rubber Bracelet with 6, 8 y 10 mm. 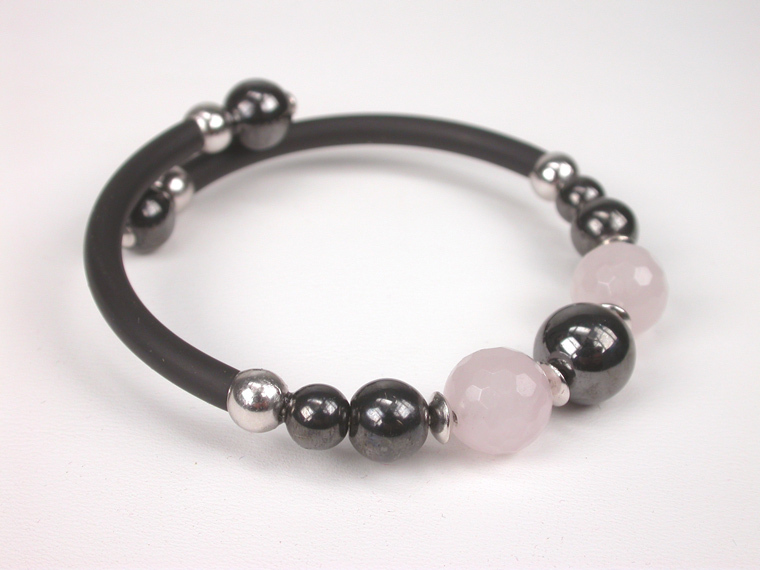 Hematite Stones, faceted Rose Quartz and Sterling Silver beads. Adaptable to fit all sizes!